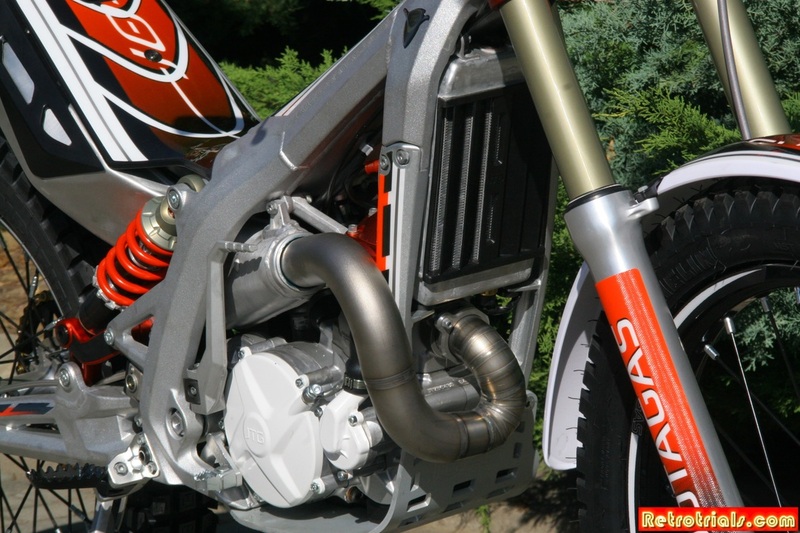 In mid 2015 Retrotrials.com visited the JGas / Jotagas factory in Girona to say hello , see thier new bike and to learn what thier plans are . 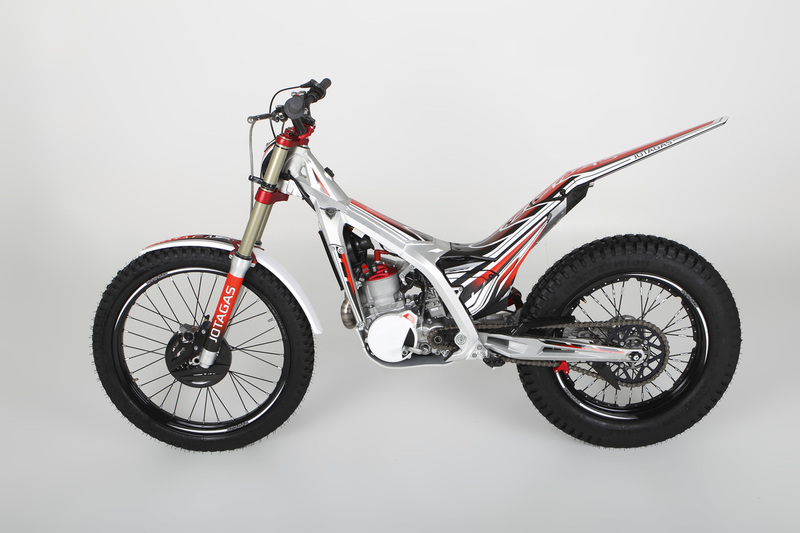 Here is a short report interspersed with some factory studio photos as well as many of the photos that i took of the new 2016 Trials model . 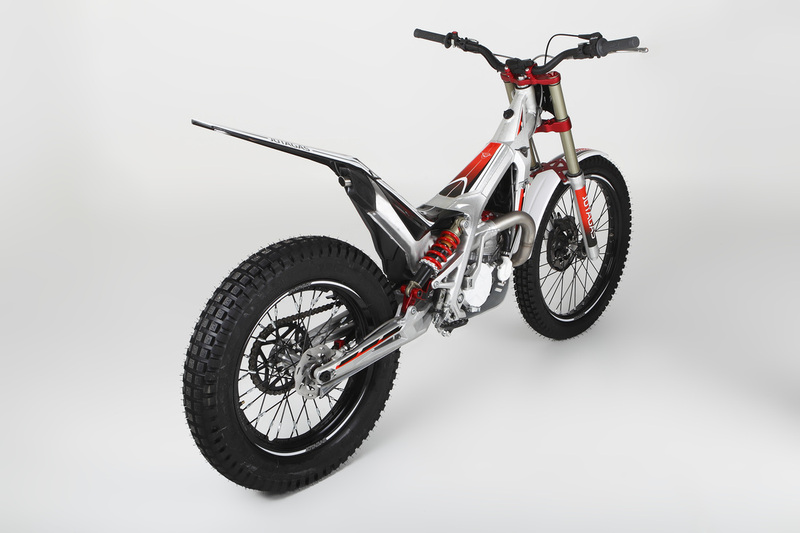 Its not secret , i have a soft spot for Jotagas which really stemmed from my interest in the 80’s and 90’World of Trial which was dominated by the bikes creator Jordi Tarres . Another key figure in the company was ex Merlin and GasGas factory rider Joan Freixas , so the competition had no chance :) . The fact that the bike is just jaw dropping gorgeous and rides brilliantly was just a bonus. I also respect a small company for taking on the big guns at their own game. 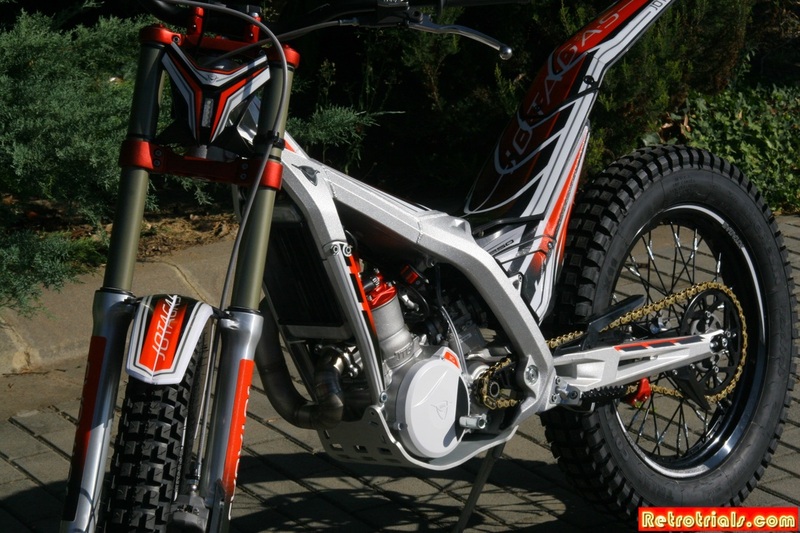 Its a brave job making your own trial motorcycle , as im sure we all appreciate. 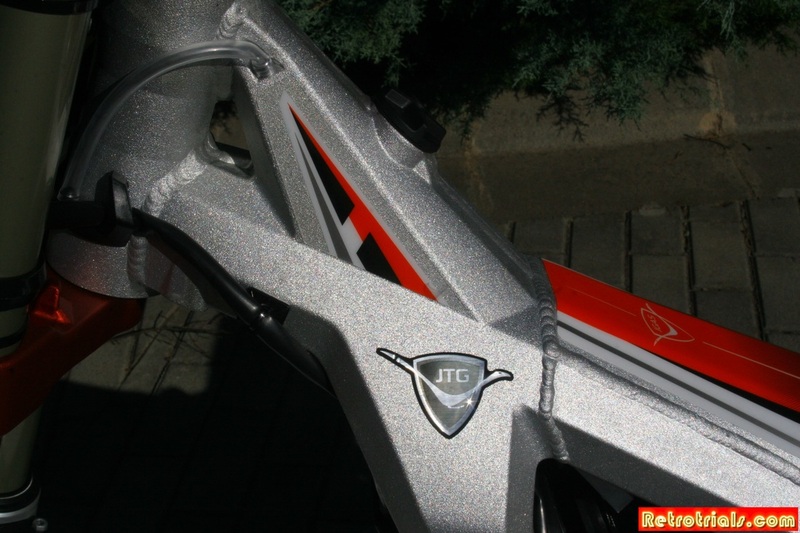 So , on my last visit i took some photos of the new 2016 Jotagas model for you to view close up. The photos are interspersed with a little factory information. 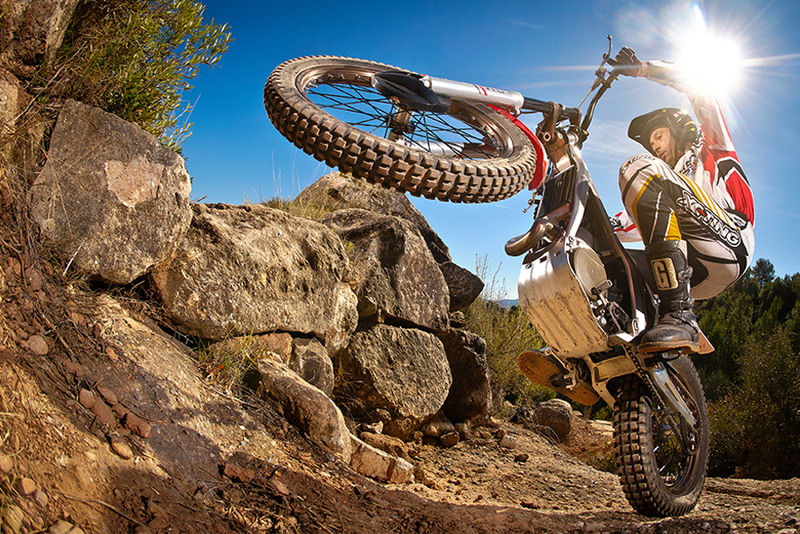 Jordi Pasquet is one of the brand ambassadors for Jotagas and can be seen here riding the first model from 2012. Pasquet is one of 3 partners in the retail company of Jotagas racing. 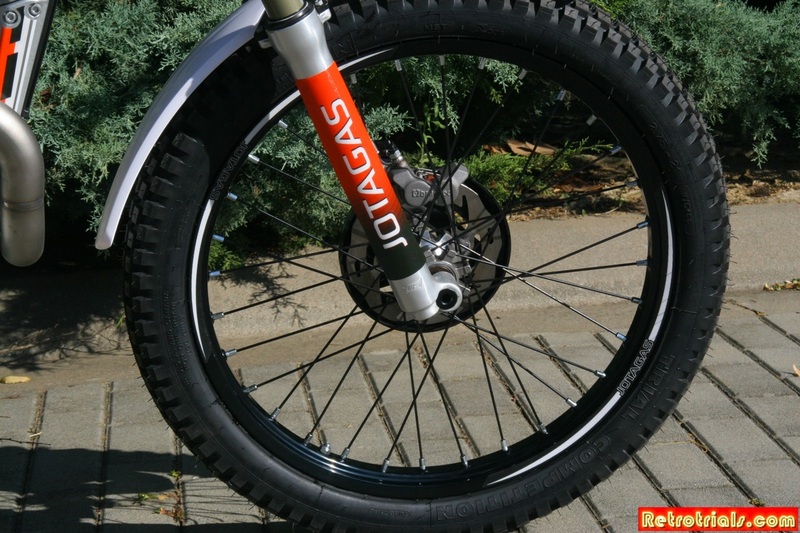 Jotagas .SA is the company representing the factory and entirely owned by Josep Pibernat , the former co GasGas and Hebo founder. Anyway ----- here are a few official factory photos ...as large as i could get them :). 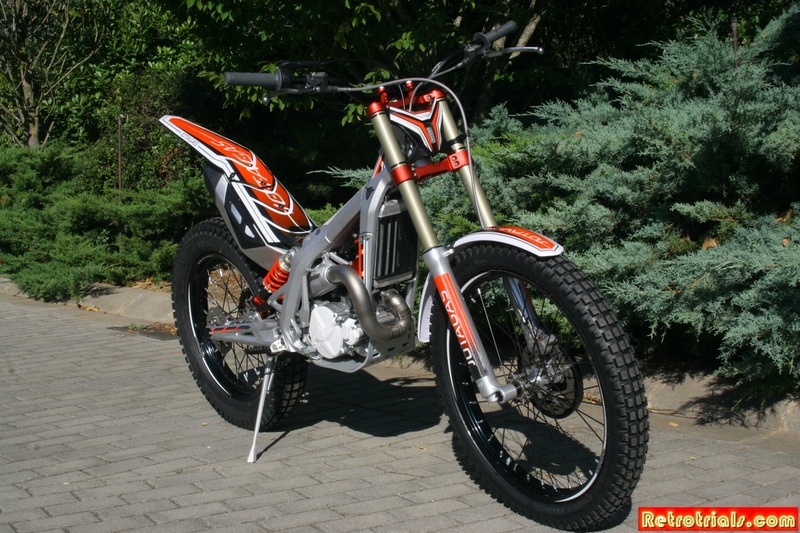 The Jotagas range of Trials bikes has been constantly evolving since the companies creation in 2010. 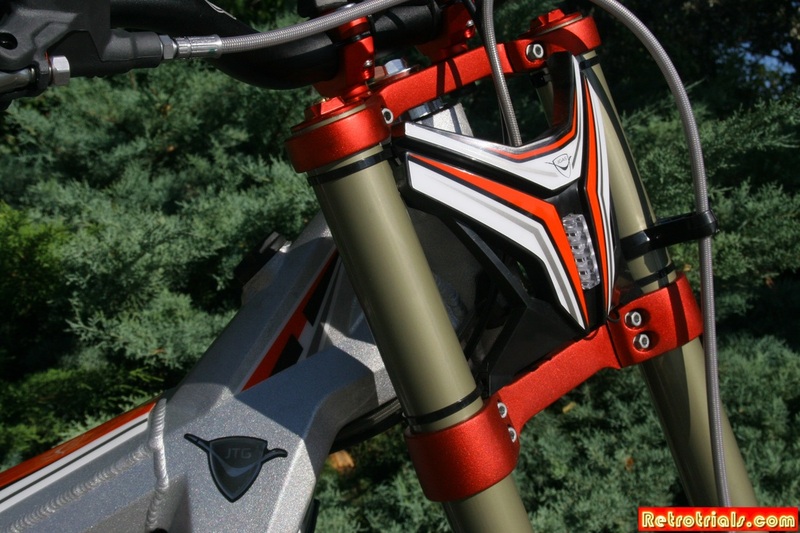 The company invested 2 years of research and development before the first model was released in 2012. Despite this rigorous testing we ( the public ) still managed to break some and of course the company regrets these issues but lets face it ....it hardly unheard of for a new marque to suffer problems with its opening model. 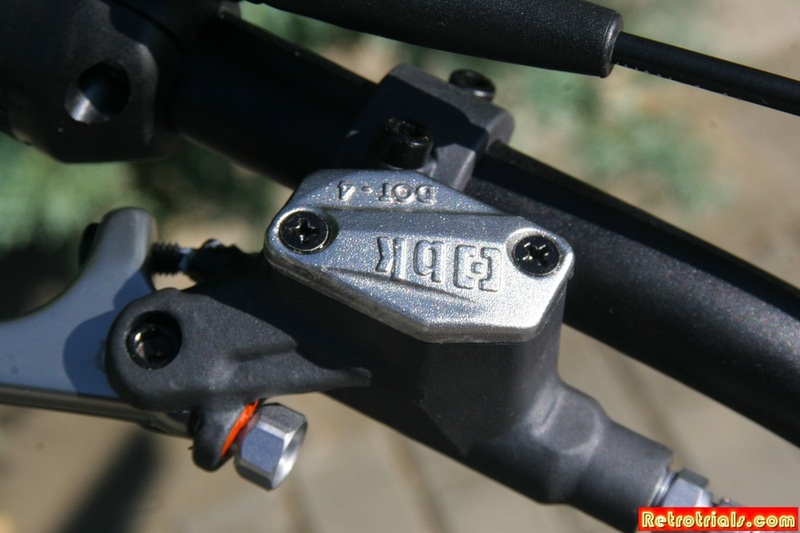 Over the short few years Jotagas have been producing ,the chiseled design has remained the same however there have been hundreds of large and small changes , many to the same parts , to get them working entirely correctly and offer the level of reliability and performance expected . From a personal point of view , when i bought my first Jotagas back in 2013 i had had a hankering for a new new bike for quite a while . As soon as i saw the Jotagas for the first time i just fell in love with it. 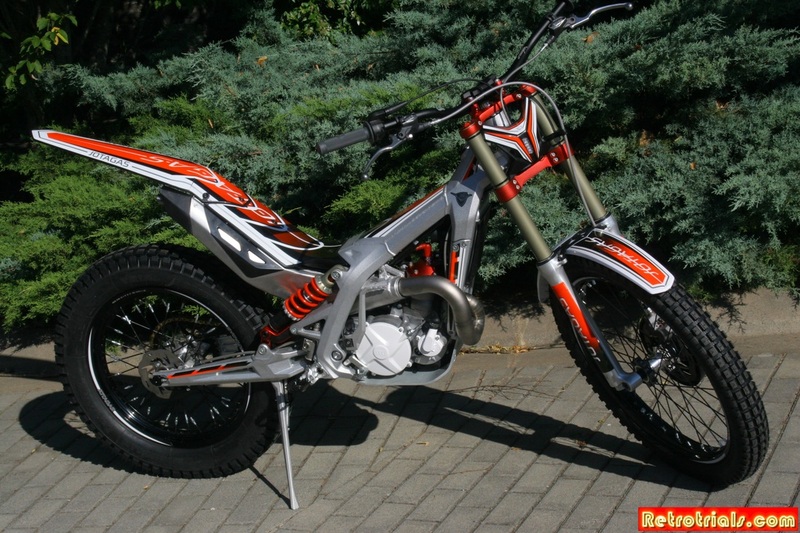 It is without doubt the most gorgeous modern Trials bike i have ever seen. The quality is apparent everywhere. 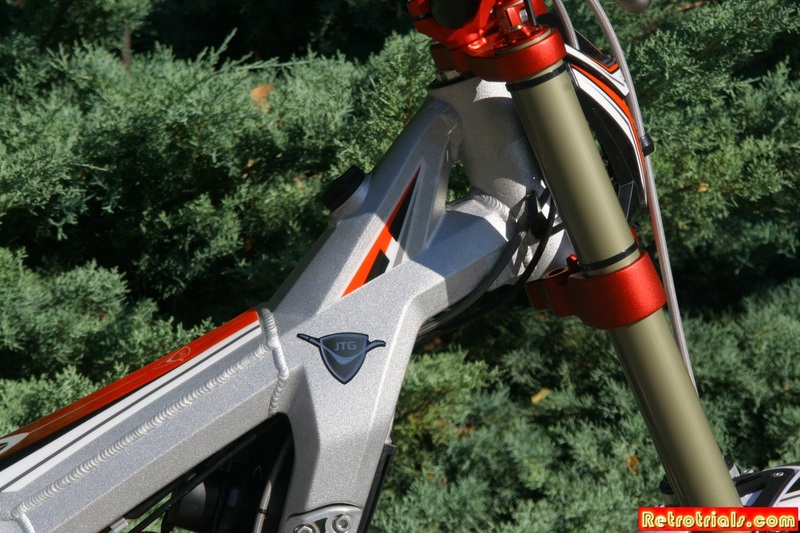 The forged aluminium chassis just oodles top class quality . It is expensive fabrication , of that there is no doubt . Just compare the Jotagas with other marques available with tubular steel frames.The amount of design , technical ability and engineering that goes into a making a chassis must be far greater than the tubular steel frames which originated before the days of the Sherpa T. Given a day to myself in the workshop and a few cans of Redbull i recon i could knock together a tubular steel chassis myself. I am of course joking to make a point . 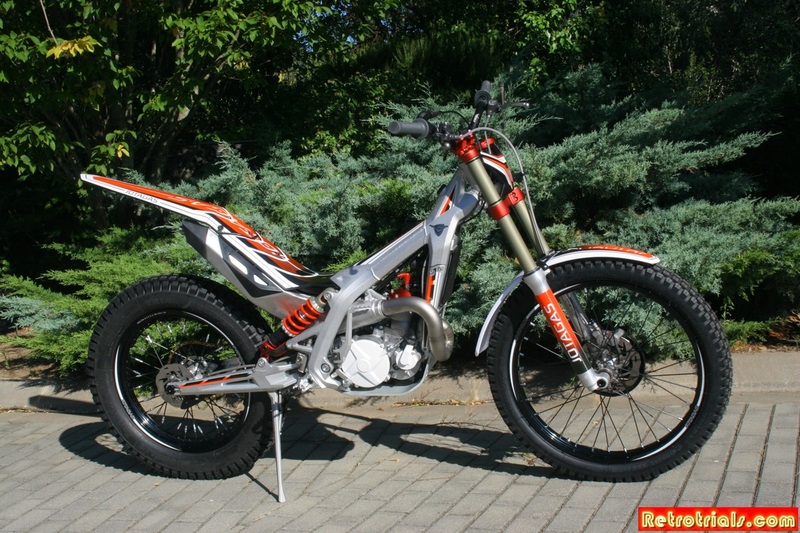 Imagine making the Jotagas chassis !. Only a few people could manage that. 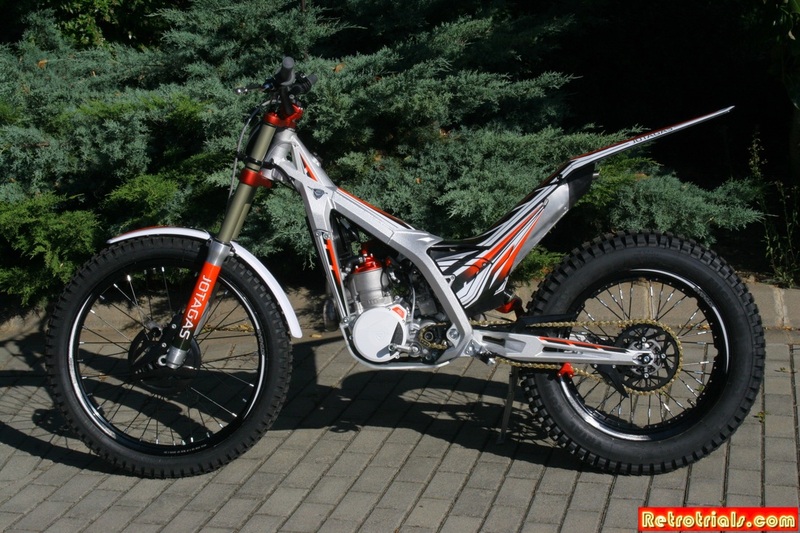 To my mind the Jotagas is leaps and bounds ahead in terms of quality , finish as well as being very pleasing to the eye . 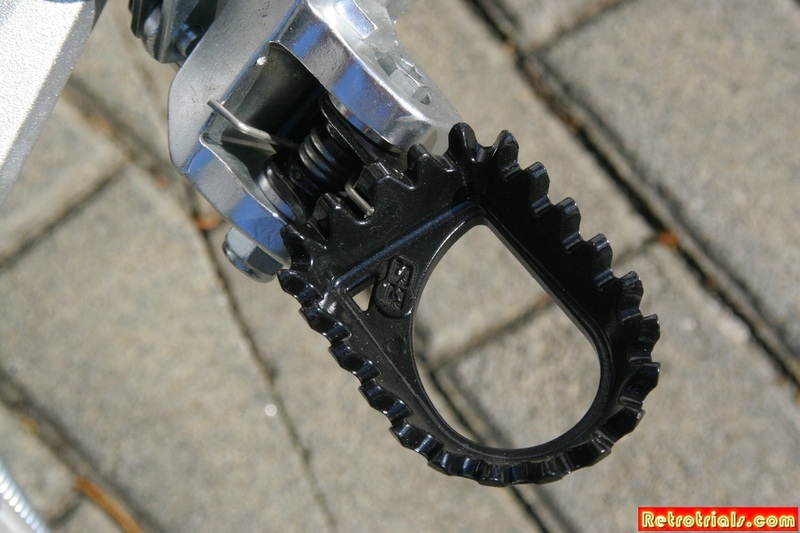 The steel frames ride well , but kg for kg , are you getting anywhere near the same craftmanship ?. I think not. 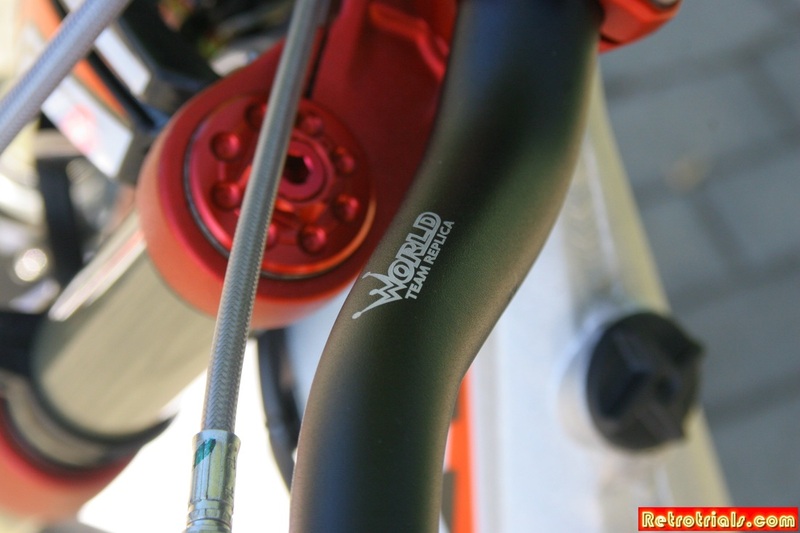 Of course , a rider's results don't depend on the quality of the fabrication. Riders need performance as well. 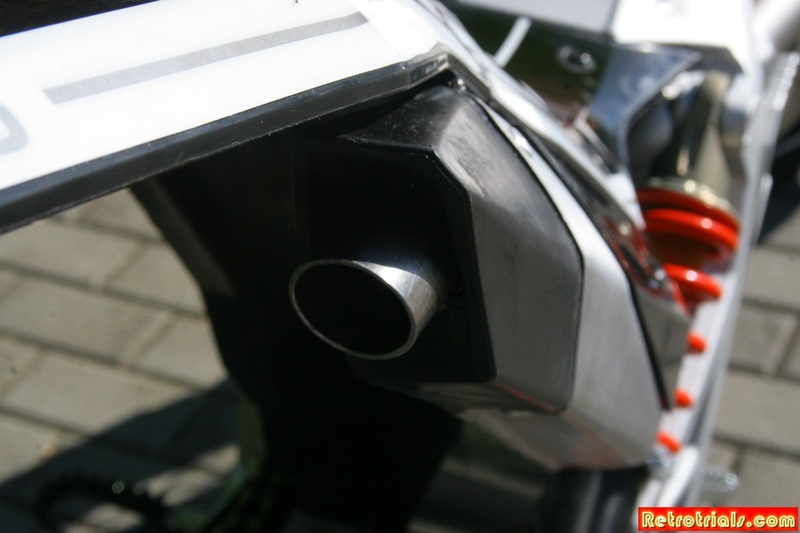 The engine delivers smooth controllable power , which is very flat at the bottom. 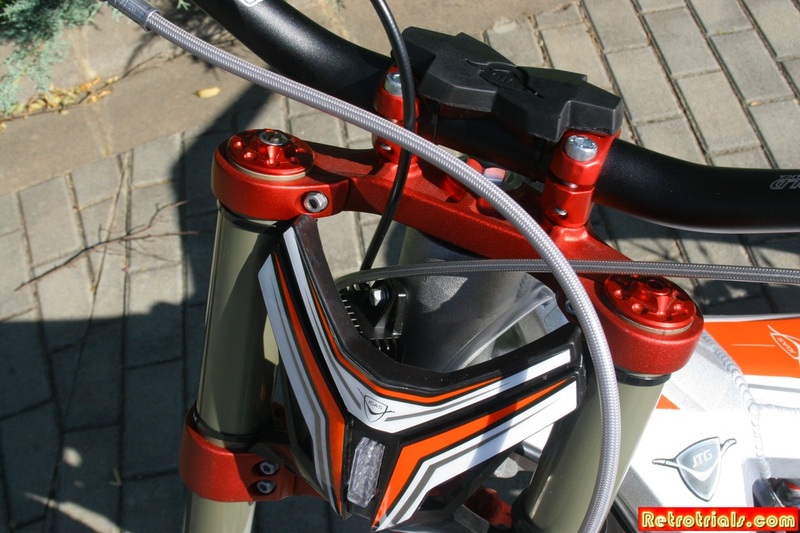 This bike does not surge power , its is very controllable. 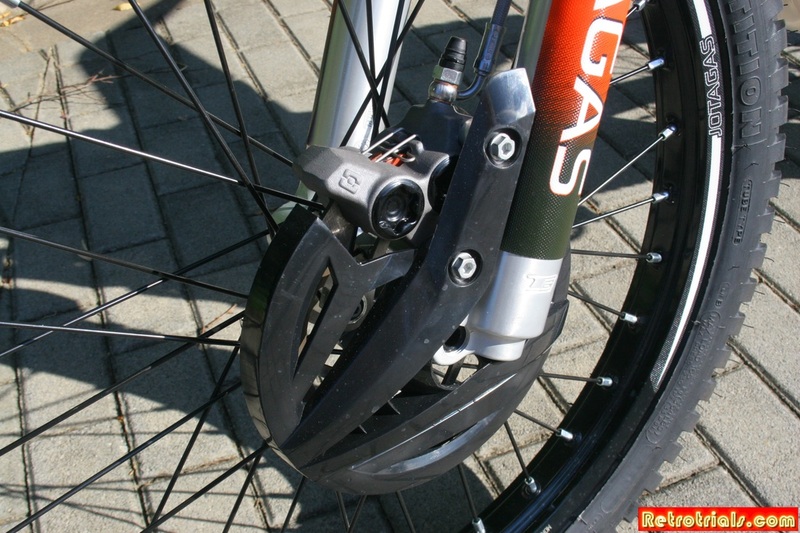 For someone who appreciates quality and beauty , the Jotagas delivers. It never fails to make me smile ,every time i see it :). The Jotagas is simply stunning. The company is a much smaller than its Catalan neighbours and of course the budgetary restrictions that this effects mean the presence on the World is smaller. Should this really effect the typical rider ? of course not . 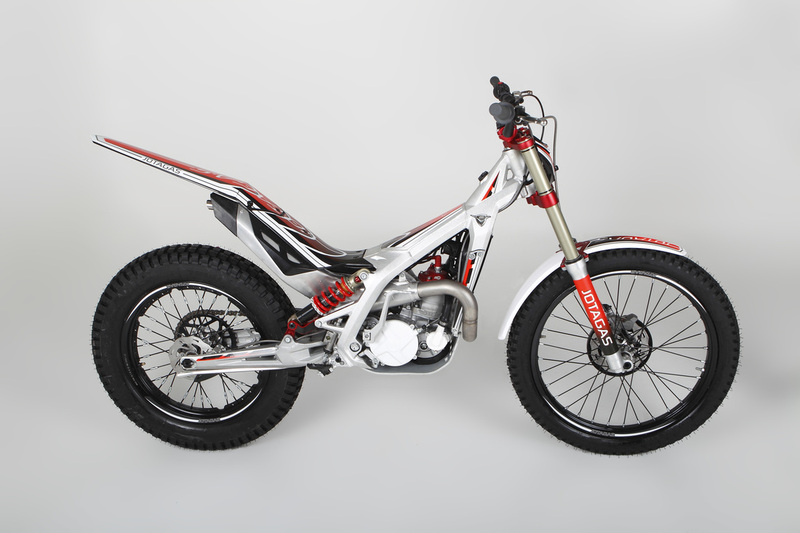 The Jotagas has been proven at World level , British Championship level as well as at the SSDT. 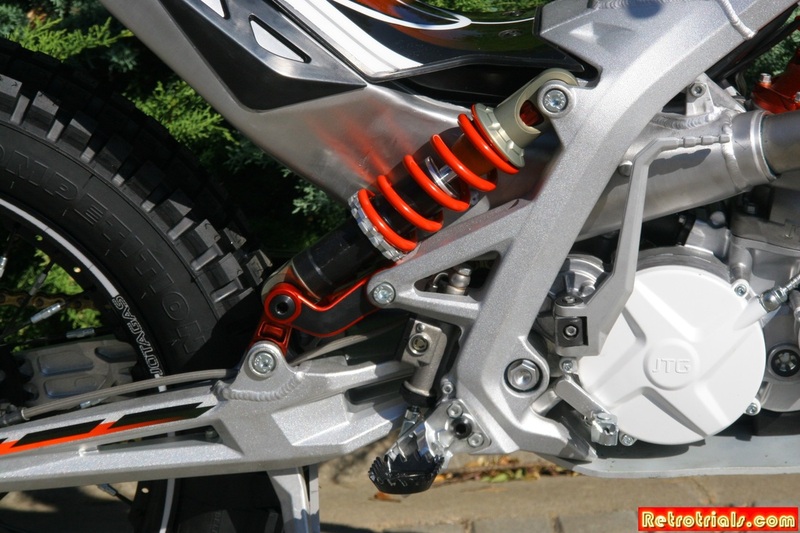 For 2016 Jotagas feature revised Olle rears shocks once again . 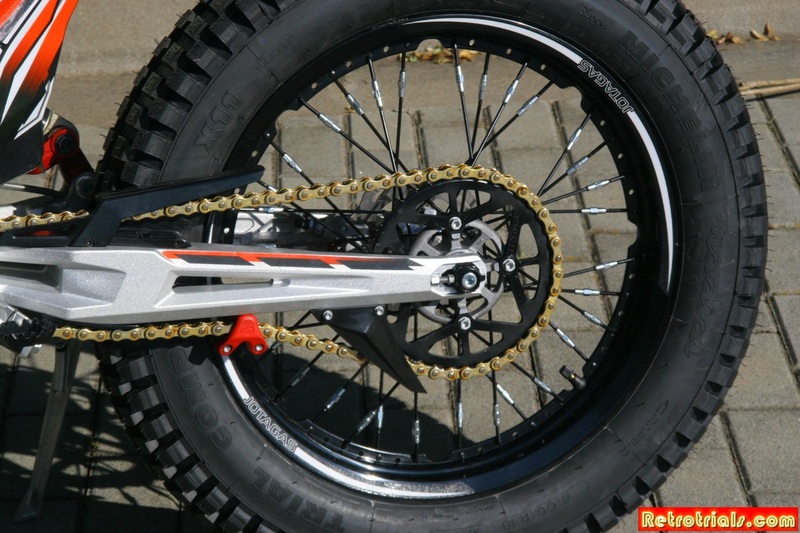 This improved shock has been tested by Andorran Trial rider and FIM section chief Jordi Pasquet along with a number of other variations and this was chosen as the best . This is welcome after some poor reports of the Elk units fitted last year . The gearbox has had several internal modifications , including a stronger selector shaft and other adjustments adjustments. 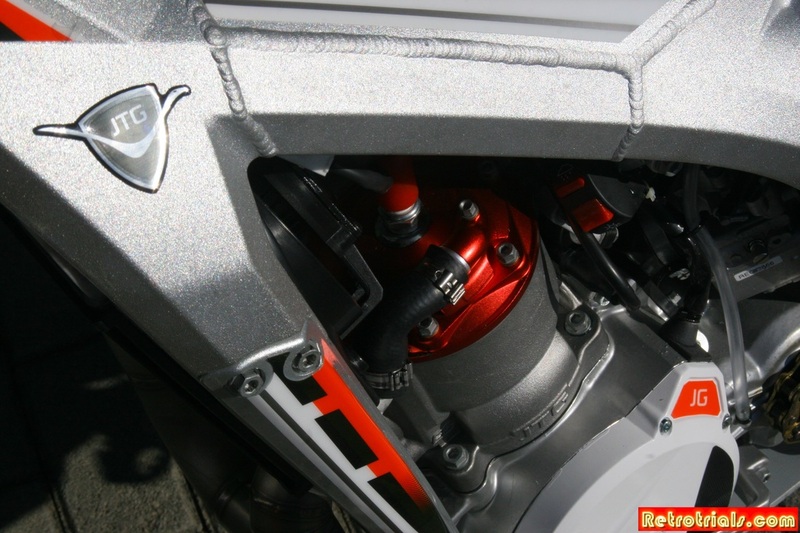 The engine comes fitted with a low compression cylinder head insert which eliminates pinking at revs , which some riders experienced in the past. 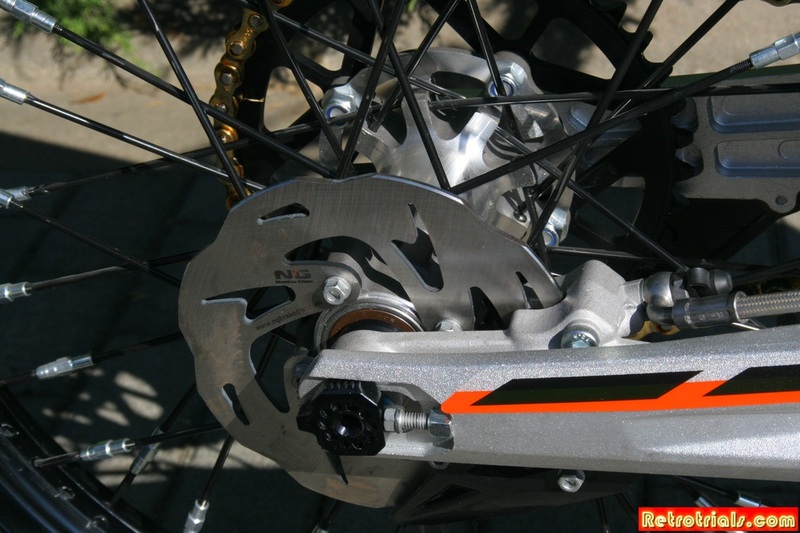 Most of the Jotagas parts are sourced locally in Spain and Europe with only the plastics coming from further afield. 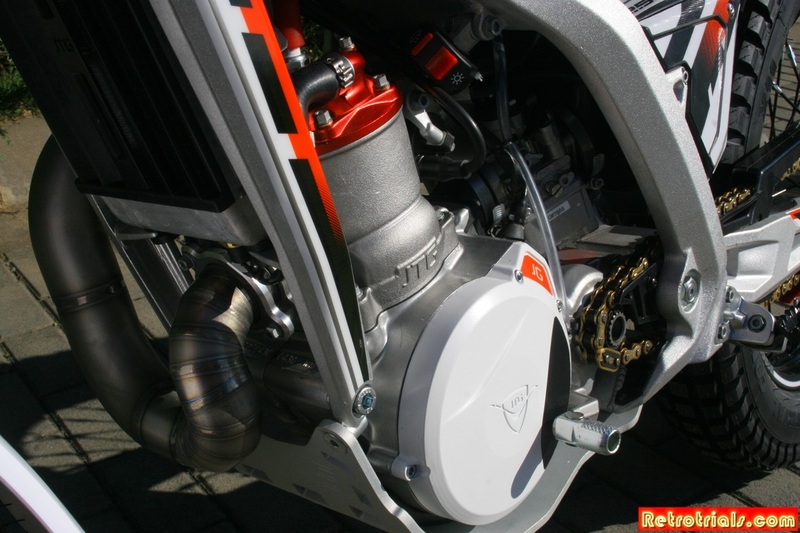 The engine crank cases , gears , cylinder head and piston come from the same local suppliers as some other manufacturers. 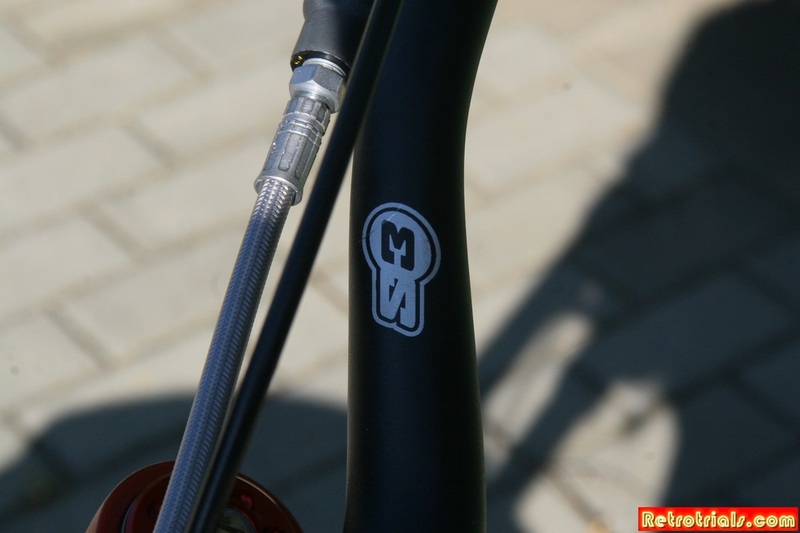 Its not the first time ive seen a Jotagas fork sticker on upside down , and it probably wont be the last. The chassis is hand Tig welded. The sump shields are now much thicker than the earlier ones. 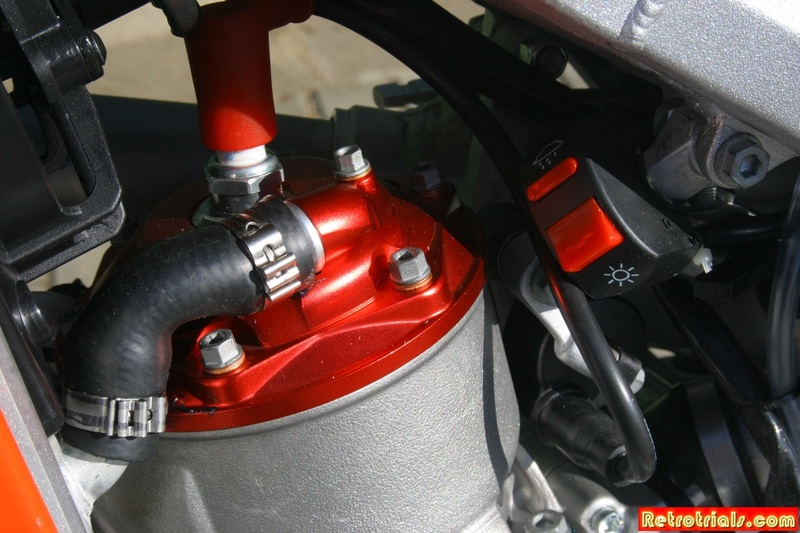 The ignition has 2 power settings , controlled by this switch under the petrol tank. Jotagas have had problems . Of this, there is no doubt . The biggest problems that the factory has not been receptive to thier importers . They have not listened to them and not looked after them . As a result mistrust developed and some importers have left them. Now Jotagas are trying to regain the ground they once had and go further still .....and its not easy. Competition is tough . Have Jotagas now realised that it needs to look after everyone out here in the Trial World ?. It has been a humbling experience for them and only time will tell if they have changed . But things are looking up . They have established several new importers and have a new client manager has been employed specifically to look after them. 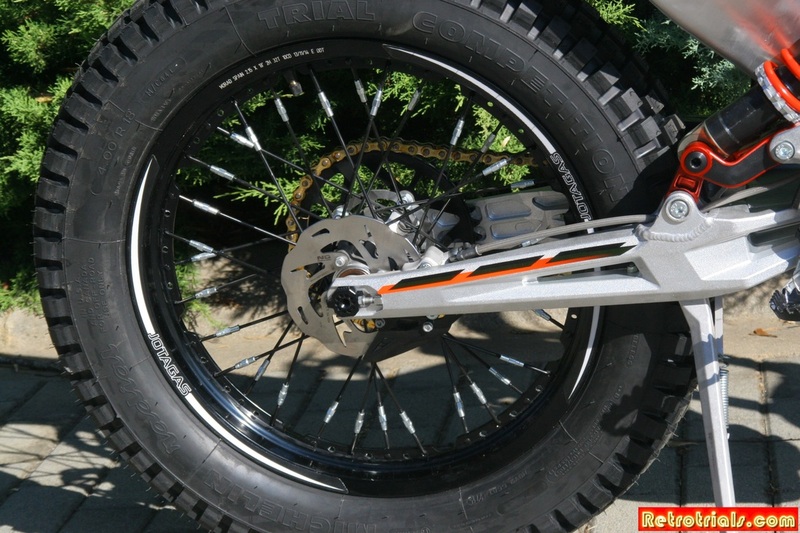 ​Haven motorcycles are now importing Jotagas into the UK. They have the machines in stock and spares back up in stock . Why did the brand name JGas revert back to Jotagas in 2016 ? Its simple .A number of decal sketches were drawn up by their graphic designer who works for an independant company that produce the decals for all Catalan Trials bikes. The designer was aware of the 2 names Jotagas and JGas and drew sketches accordingly. This was the design that was prefered and hence was chosen. Sorry to dissapoint those speculating that it had deeper meaning . Jotagas - JTG. They are the same. Having followed the company closely since 2012 through good times and bad , I am very sure that Jotagas are here to stay. As i have said before the Jotagas owner Josep Pibernat does not give up . He has been making motorcycles longer than the other manufacturers have been out of high school. As the man soley responsible for the running of the GasGas factory he has helped design hundreds of different motorcycle models taking turnover at its peak to 60,000,000 euros. This was because he created the best bikes and sold thousands of them each year , commanding the greatest share of the market. At some time most of us have owned a GasGas . Josep Pibernat's real passion is engineering and he is obsessed with tech , having the experience with different metal grades , different tolerences that others do not. If Jotagas were going to disappear , they would have done so already . 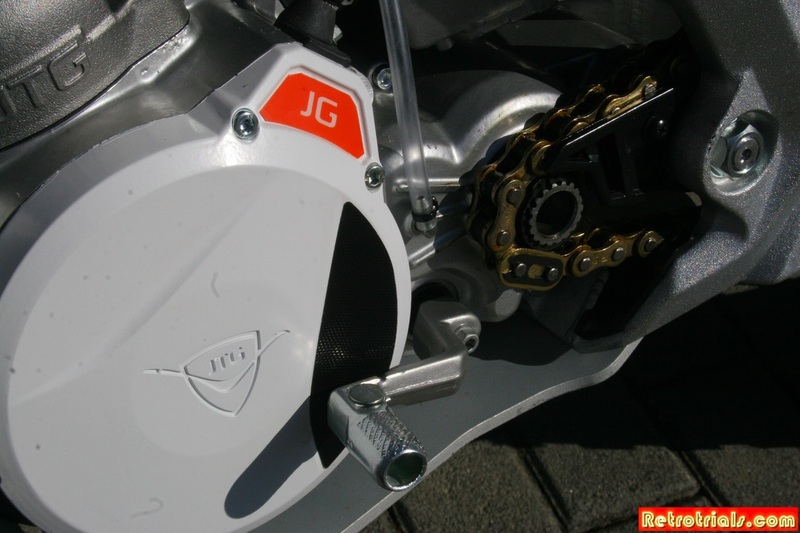 The Jotagas will continued to evolve and improve . This guy is unstoppable and not to be underestimated. The factory is producing and every bike they make is sold. 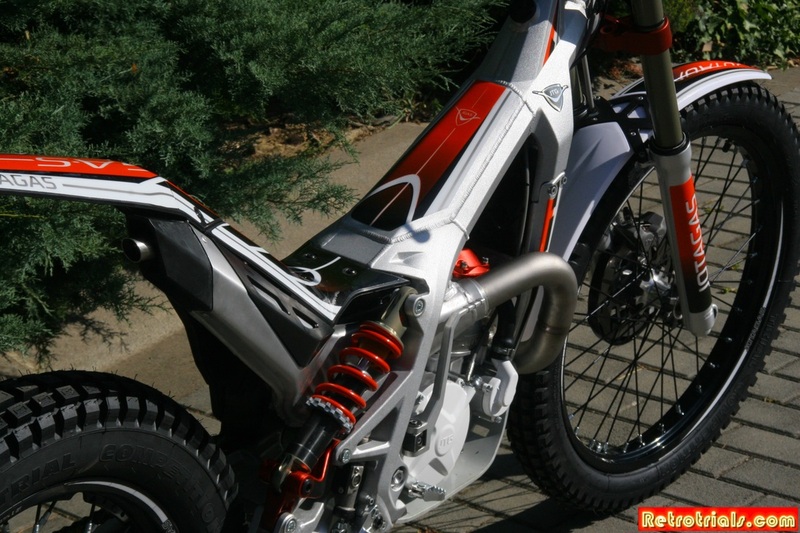 The company has a new factory nearby in Alot , Spain with very experienced mechanics. The existing factory location is being used for R and D as well as engine assembly. 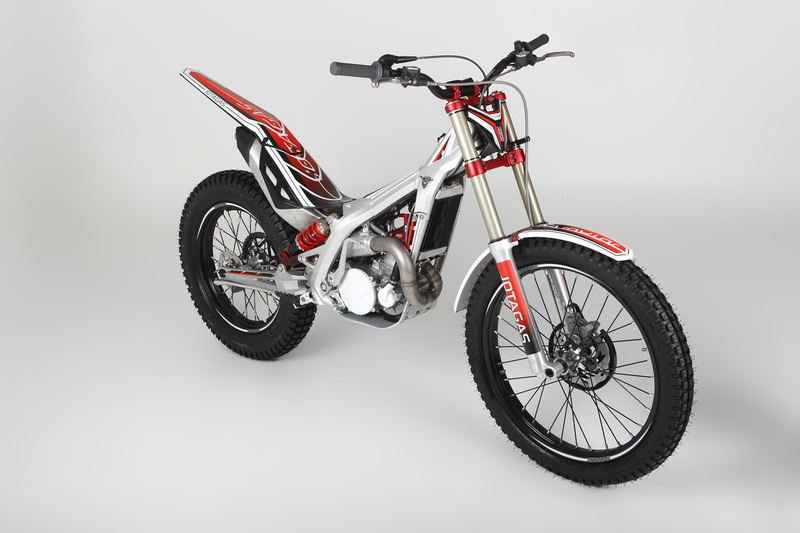 They are already working on significant chassis changes for future trials models and have 3 prototypes up and running. 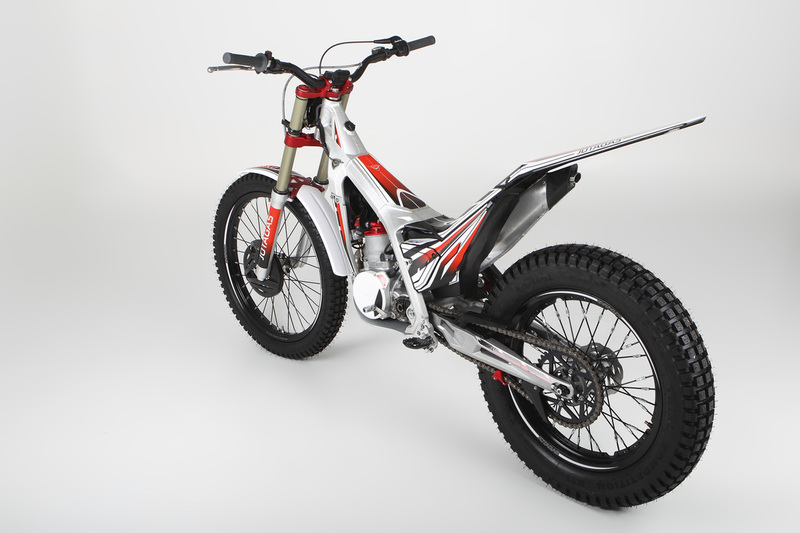 They also have Enduro models in the pipeline , which have been featured in earlier retrotrials reports . 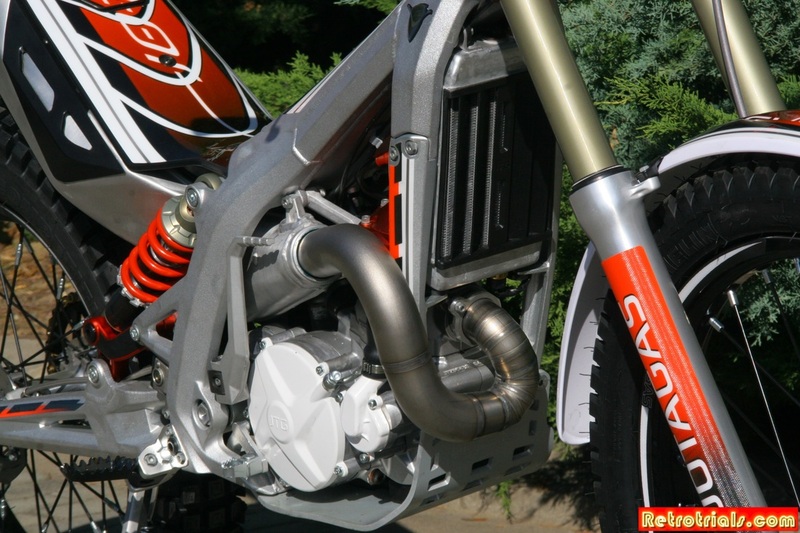 To under estimate Jotagas is comparable to under estimating GasGas in the 1980's. So ....what is it to be ? .